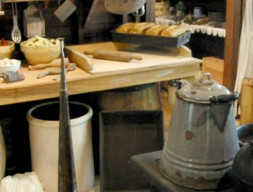 Nestled among one of the largest remaining stands of virgin white pine in Michigan, the museum takes visitors back to 19th-century logging life with log camp exhibits. Grayling. 989-348-7068, Harwick Pines.